The APS™ was created to help educate the public on a multiple number of topics that revolve around asset protection. No area of consulting needs more education and clarification than the topic of “offshore” asset protection. What do you think of when you think of “offshore” planning? 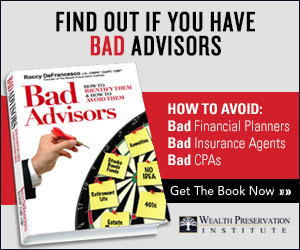 Most clients will either not have an opinion, will say that while they don’t know much, they know they don’t want to move their assets “offshore” to protect them, or will say that offshore planning is something people should stay away from because the industry is fraught with fraudulent activities, tax “evaders,” or money laundering. Let us re-state, there is a significant need for education of the public and advisors when it comes to “offshore” planning. On this introductory page, we will not go into chapter and verse on offshore planning. Instead we will do a little Q&A and then point you to some web-links where you can read more about offshore planning done the right way and how you can benefit by using a properly constructed offshore asset protection plan. As a general conclusion, we should start by emphasiing that, properly structured offshore planning is quite rational and forms a critical part of most well-conceived asset protection plans. Question—Why don’t more clients use offshore planning to protect their wealth from creditors? Answer—To put it bluntly: Ignorance. Law, accounting, MBA, insurance, finance, etc. curriculums DO NOT teach advisors about the basics of asset protection planning, let alone the particulars of offshore planning. Besides the CWPP™ and CAPP™ certification programs put out by The Wealth Preservation Institute, there are no educational entities that educate on asset protection. Unfortunately, in this society if you do not know about a topic, your default position is that it is no good. That is certainly the case with offshore planning. The APS™ was created to educate the public as to the benefits asset protection planning, inclusive of offshore planning, and to provide a Rating system so clients will know which local advisors can help them with asset protection (including offshore planning). Question—What are the three main offshore asset protection tools? An OAPT is the bread and butter asset protection tool for quality advisors who help their clients protect their domestic and international liquid wealth. To read more about how OAPTs work, please click here. Offshore LLCs work similar to domestic LLCs when it comes to protecting your wealth; however sine foreign LLCs do not fall under the jurisdiction of the U.S., there is greater certainty in the application and enforcement of “charging orders” pursuant to the local laws. To read more about offshore LLCs, please click here. Offshore CICs serve as both an asset protection tool and a tax minimization tool, both of which have wealth preservation features. To read more about CICs, please click here. Question—Does your money have to go offshore to be protected? Answer—No. Properly arranged “offshore” planning can incorporate a domestic LLC, financial instrument (insurance, annuity, etc. ), or investment account, which is owned by an OAPT. Only if a lawsuit is filed against you is your money removed to an offshore jurisdiction. Answer—As a general rule of thumb the answer is NO. U.S. taxpayers are taxed on their worldwide income from whatever source it is derived. That being said, offshore trusts can own the many of the same tax-favored vehicles that you can own in the U.S. (such as life insurance or annuities). Therefore, you can create a structure that offers the highest level of asset protection along with the lowest levels of taxation available under the U.S. tax code today. Question—If the money in your OAPT is trusteed by someone out of the country, don’t you run the risk of having the trustee steal your money? Answer—Not Really. The real risk resides not at the trustee level, but at the investment management level. In most cases, the involvement of the trustee is inconsequential to the investment of the assets as this function is typically delegated to third party investment managers. There is always risk that a third party with your money may try to abscond with it-but that risk is no greater offshore than it is in the U.S. The key is to work with large reputable institutional trustees and/or investment managers who are no more likely to steal your money than Bank of America. It is also important to use a trustee that has NO ties with the U.S. Also, do not forget that unless you have a claim, your money might, in fact, be sitting in a domestic LLC with an account at Bank of America. There is nothing inherently complicated about “offshore” Planning. It is simply choosing to plan with the laws of a select foreign jurisdiction who offers better asset protection provisions than the U.S. Because few people know the topic, it is shunned by some and feared by others. Offshore planning is not complicated and most of the time your money NEVER leaves the U.S.
We encourage you to read this website and material from other quality sources so you can understand the benefits and power of offshore asset protection planning. Do be careful when choosing an advisor to setup your offshore plan. While correct offshore planning is as safe as having your money at Bank of America, offshore planning done with the wrong advisors can put you in a terrible situation (and one reason the APS was created to protect you against). To find a local advisor who can talk with you one on one about your asset protection plan, including the viability of offshore planning in your particular situation, please click here.